Susan Giordano-Broker Associate "Your Realtor at the Shore"
Susan has been a leader in Selling and Listing properties in Sea Isle City and the surrounding area for over 30 years. Her Experience and Dedication have earned her Top Producing Sales Awards including NJAR and Long and Foster Platinum Sales Achievements. She is highly- referred by clients for her knowledge, honesty and enthusiasm resulting in Outstanding Professional Service. Highly- Referred and Yearly Recipient of the NJAR Circle of Excellence High Sales Volume Award Winner. 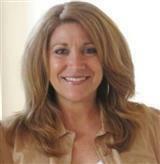 She is Proud to be the Top Sales Associate with The Fasy Group of Long and Foster Real Estate. "I'm focused on providing you with the best results and service in the industry. I listen carefully to understand your real estate goals and work hard to create solutions that make sense for you. Whether you are new to the market or an experienced investor, I have the expertise, proven track record, and resources to help you achieve your real estate goals. As is often said, real estate is about location, location, location. I have extensive knowledge of the South Jersey Shore Area and can help you find the right home for you or the right buyer for your home." When you are buying or selling property in today's real estate market, it's important to have confidence in your real estate professional. My commitment as your Realtor in Sea Isle City is to provide you with the specialized real estate service you deserve. in Sea Isle City for OVER 30 YEARS. BACKGROUND: A native of Vineland, NJ, I enjoyed spending my summers in Sea Isle City. After Graduation in 1984 from Rowan University, with a Bachelor of Science in Business Administration, I moved to Sea Isle City and started my Real Estate Career. Helping family's buy, sell and rent real estate in Sea Isle City was a perfect fit for me. My father, Claude Hennis, president of Cumberland Construction Co, has been a prominent builder in Sea Isle City since 1975. So, the majority of my lifetime has been involved with the real estate industry and working with people. I bring my love of Sea Isle and my wealth of experience and contacts to work for you when you entrust me as your "Real Estate Agent At The Shore." As a Seashore expert with knowledge of the beach communities, my objective is to work diligently to assist you in meeting your real estate goals. I'm highly referred by buyers and sellers for my KNOWLEDGE, HONESTY, and ENTHUSIASM that result in "Outstanding Professional Service." If you are considering buying, selling or renting a property in the Sea Isle City area or would just like to have additional information about real estate in Sea Isle City or the surrounding beach communities, please don't hesitate to call or e-mail me. My expertise will be of great advantage to you.